Cellcollagen – The Best Eye Mask Ever? Yes! What do we want from an eye mask? We want some thing that smooths out lines, decreases dark circles, smooths out lines, lifts and firms, hydrates and gives instant, immediate, awe inspiring results. When we started to search for the perfect eye mask to be part of the offering at Paul Edmonds we set the bar high. We thought that we would find something that did maybe two of the things on our list but not more. We tried and tested about 8 brands. All nice but no cigar. Then, as if the gods were listening… We were told about CellCollagen Eye Mask (15%) by Cellcosmet. The results are quite simply remarkable. These no fuss sheet masks are impregnated with a heady mixture that perform well. Hibiscus Oils that relax and smooth the expression lines. Active Stabalised Bio-Integral Cells (15%) that respect the hormonal balance of the skin whilst revitalising and rebalancing. Two types of peptides to help lighten dark circles, and relax the expression lines. Time is at a premium for us all so we have started to use these eye masks during other treatments doubling up to reduce time spent achieving maximum results. Our colourist team have started to use them with clients while they wait for their colour to work. Its also perfect instant party prep. The effects last up to 24 hours but for longer lasting results we recommend coming in twice in two days. For weddings and special occasions, we can go daily! This is Paul Edmonds so we have created a way to make them even more impactful and wonderful. First we cleanse the eye of any make up with the appropriate Eminece Organic Cleanser. Then we give a preliminary pressure points massage to kick start the drainage. Then the eye-mask is placed under the eye and left for 20 mins. Once it has worked its magic it is then shifted round and placed across the top of the eye coming down to double up on the expression lines at the corners of the eye. Our therapists then work on the pressure points under the eye. 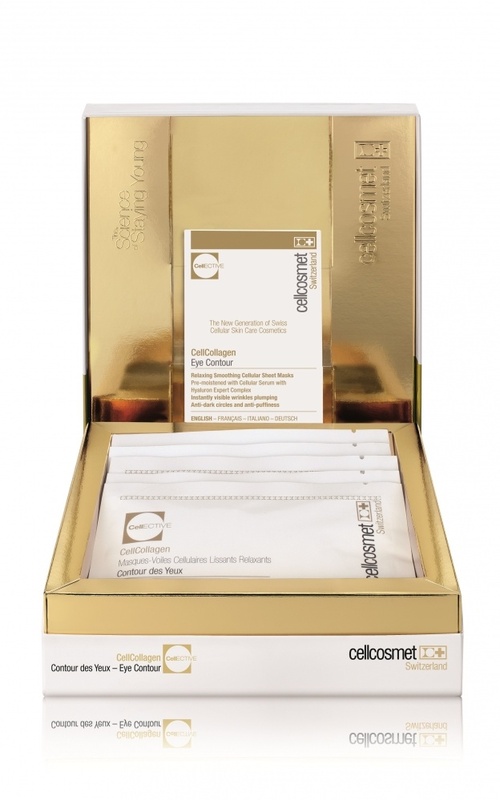 Remember to get the CellCollagen Eye Mask next time you get your hair done. Book Now!